We are a 3-13 prep school and this term we began doing a Whole School Read in the Prep department; this takes place after Chapel on Thursday morning. 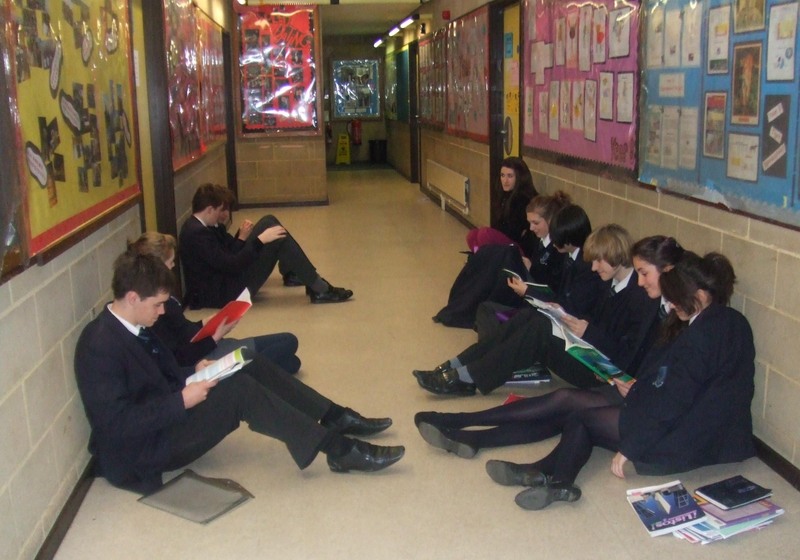 The idea is that everyone should be reading during this 15 minute period: children and staff alike. An unusual sense of peace descends over the school for this short period each week, children who finish a book during this session, or forget one are allowed to take one from the small selection available in each of the tutor rooms, if they enjoy it there is the option to take it to the library and borrow it in their own name.I know that I appreciate this brief oasis in an otherwise busy day and only wish it happened more often! 2010 was the first year we organised a DEAR session. It was FANTASTIC! Our school is run by a charity and we managed to persuade the office workers, cleaners, school admin as well as the WHOLE school (Juniors & Seniors aged 4-18 and teachers) to take part. We ran it on World Book Day with all the staff dressed up as literary characters so there was a real buzz all day. 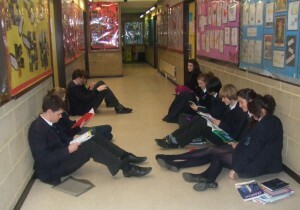 Throughout the morning, the LRC was busy with pupils coming up to get books to read during the session. The session started after lunch at 1.45 and ran into lesson time, finishing at 2.15p.m. Year 12 media students went round the school filming and we took lots of photos which were made into a collage and hung in the LRC. Walking round the school during DEAR was an amazing experience. Pupils who did not want to take part admitted afterwards they had really enjoyed it. The whole school was so calm. Teachers loved it and said we should do it more often! Sue Bastone, Licensed Victuallers School. You can also read in more detail about the DEAR experiences of Werneth School, who have also instituted a DEAW (Drop Everything and Write) and DREAM (Drop Everything and Move) Day in their school as well.